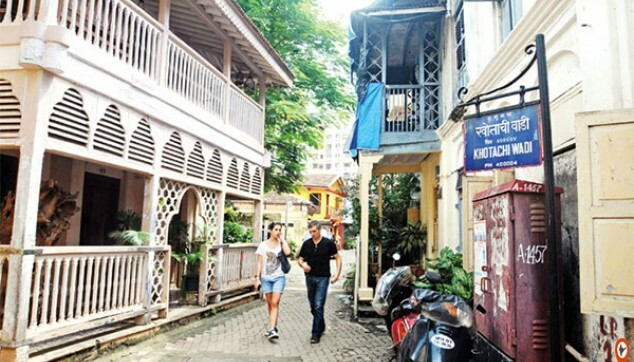 Away from the skyscrapers of Mumbai, lies this small heritage village named Khotachiwadi. Go for this Khotachiwadi Tour for exploring the beauty of old Mumbai houses created under Portugal influence. These houses are made of wood, have an open front and back courtyard and an external staircase giving access to the top bedroom. Founded by Khot, a Pathare Prabhu, it is Mumbai’s oldest preserved settlement. The heritage village now has 28 houses instead of the old 65. See the aesthetic appeal of 100-150 years old Mumbai houses. 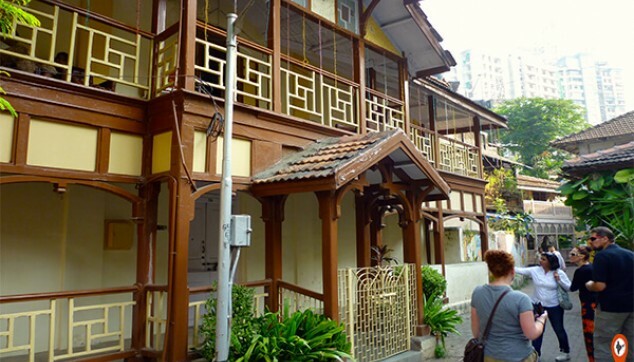 Enjoy the insight given by a local guide on the history of people residing here. Facility of a private air-conditioned car on this Khotachiwadi Mumbai Tour. Khotachiwadi Tour from Mumbai will start at 09:30 am and your tour guide would pick you up from the hotel. You would drive by a private car to the Khotachiwadi village and start a walking tour along with your guide. The village having been settled in 18th century houses many exquisite portuguese styled mansions along with narrow lanes and winding streets that connects in zigzag pattern. 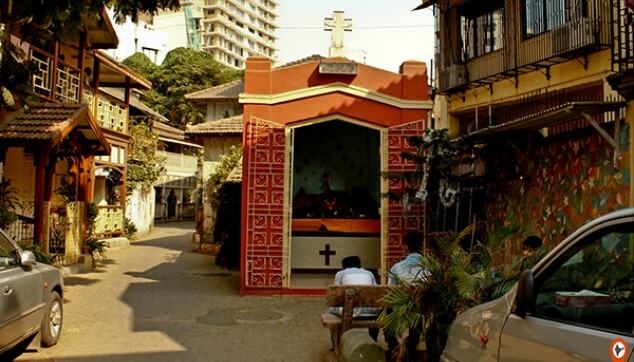 The village was once inhabited by majorly Easy Indian Christians and later experienced the influx of other communities including Goans, Gujaratis and Marwaris who all live in great harmony in Khotachiwadi. The architecture of village is still preserved in traditional style and its very interesting to see the slow pace of life in this amazing neighbourhood of Mumbai. However the number of houses in this villages have decreased to less than half due to the fact that some of the houses were demolished to make skyscrapers. After a memorable Walk in Khotachiwadi you would be driven back to your hotel. Important: The pick up and drop would be arranged from city centre hotels located in colaba area. Additional supplement might be applicable if pick up is required from a hotel located far from the city centre. Lots of colorful old houses, the portuguese influence is visible. A good place for daylong excursion.